There's nothing like a delicious, succulent ham to make a perfect Christmas. 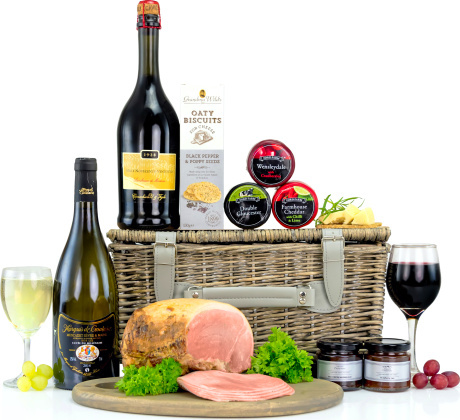 The Alderton hamper also includes all the trimmings and beverages to bring out its natural flavours. All carefully packed inside a handmade wicker basket, this is a Christmas hamper that will get everyone feeling festive!